This month, I apparently felt very drawn to the color orange when I placed my order with ePantry. (As I set up the items to snap a photo, it hurt my eyes a little bit. So orange and aggressive! Ahh!) Anyway, I thought I'd put together a quick post to share which goodies I received, and also host a giveaway with a couple extra items I added to my shipment, thanks to having some referral credits to spend (more on that below!). Say hello to Elsa and Anna, who decided to make an appearance in every single photo I took. "She wants to be in the picture!" "Well, okay." I'm picking my battles, clearly. 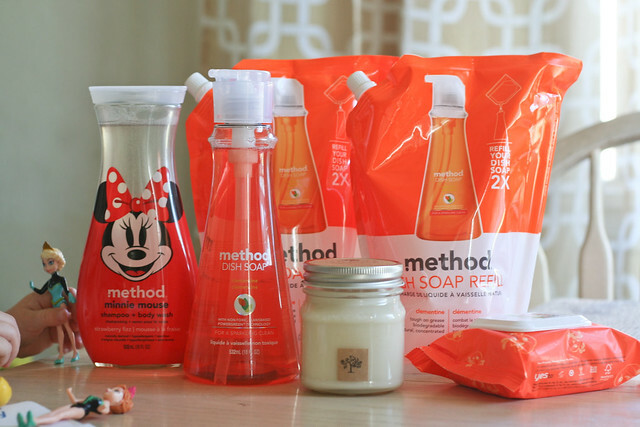 Anyhow, I know I already mentioned the Method Minnie Mouse shampoo in my most recent swoonage post, but I'm also quite thrilled about the Method dish soap. I purchased some of this years ago and still remember how much I loved the clementine scent. ePantry was offering the refills for only $4.99 (which is even below current Amazon pricing!) so I had to stock up. I also decided to try the Yes to Baby Carrots face + nose wipes, because I needed something to throw in my purse for on-the-go. And I know I mentioned this candle in passing, but it honestly smells like heaven. I took the lid off and didn't even light it for a few days, and still when I walked into the room I could smell eucalyptus and spearmint. It was an awesome freebie to receive as a part of their VIP program! So! On to the giveaway! As a thank you to those of you who have joined ePantry through my links (and have helped me earn some credits on my own account) I added a couple extra items to this month's shipment and would love to send them your way. As always, I'm a sucker for packaging, and these Yes To products are always so colorful and sweet. 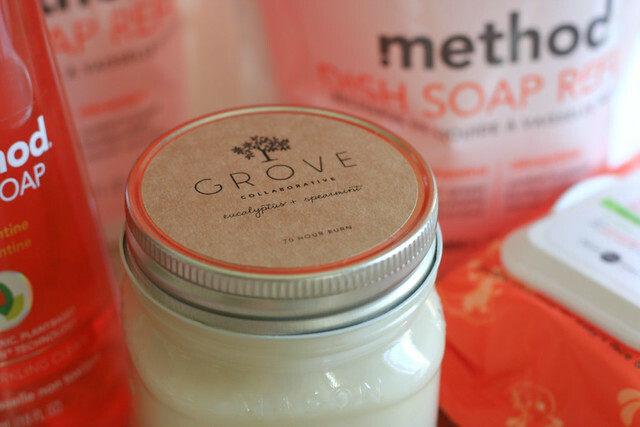 This grapefruit lip balm will be perfect for spring and summer. I also chose these facial wipes because they have great reviews online, and are something nice to have on hand. Also, they coordinate quite nicely with the lip balm in the box below, don't you think? If you'd like to enter the giveaway, simply leave me a comment on this post sometime before Monday morning (4/20). Early next week, I'll choose a winner and send this box o' goodness their way! Thanks again for your support—and if you haven't yet joined ePantry and are interested in doing so, feel free to use my referral link to snag yourself $10 off your first order. I've used this company since late last year and am continually impressed with their quality, prices, and customer service. They're a good one! I love "yes to" products! I haven't tried those particular Yes To products, so would love to give them a shot! Ohh... I haven't heard of YesTo products yet, but they look sah-weeet! I have wanted to try the Yes To brand for a while, but never remember while I'm actually in the store. Fingers crossed. I bought one of the ePantry candles, and I am obsessed with it. Just love the scent and everything! I need to look into those candles! Candles are my love language! 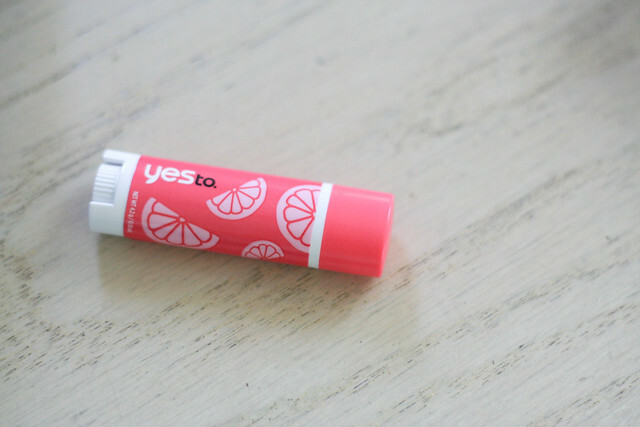 I've never heard of Yesto products, but they look cute! I haven't heard of the yes to products! And that candle sounds amazing! That candle does sound amazing, and so does that scent of dish detergent. I love citrus. I'm a lip balm fiend, and keep searching for the best gentle facial wipes, so count me in! These products sound like they are fabulous. I have not heard of them but I am always interested in good products for my family and I. Per your recommendation, I joined ePantry last month (through your referral link!) 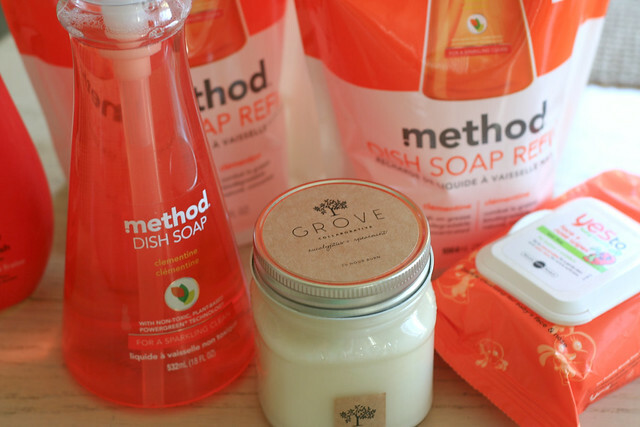 and I've only gotten my first shipment so far, but I love their products and the company! Thanks so much for telling us about it. I am happy to support small business with awesome products (also, their customer service is really superb!). I'm a new ePantry fan, but what an awesome company! I love seeing what people get. So fun! I have tried their face wipes, but I would love to try the lip balm. I am kind of picky about lip balm and always love trying different ones. Also, love the packaging for that lip balm! I can't wait to try the Minnie shampoo on my girls! This sounds so interesting. I tried Walmart's beauty box on your recommendation, and I absolutely love it! I'll have to check this out. Thanks for doing this sweet griveaway! Obviously, I took your recommendation and signed up a while ago and I've been LOVING Mrs. Meyer's cleaners in Lemon Verbana. I've seriously considered opening the windows when it was 30* outside bc it made me happy and reminded me of spring! Will have to check out the candle!